Back Issue of HW Magazine Spring 2010. 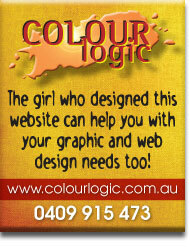 New larger A4 size! 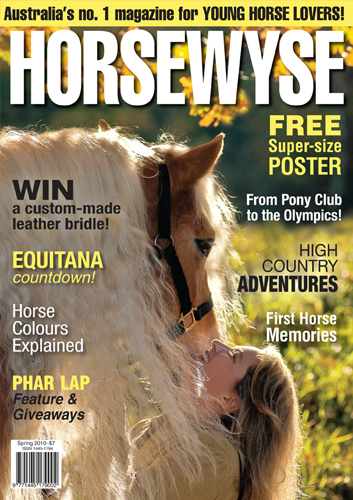 • HorseWyse has a new home - learn all about the new HW Headquarters and meet our new Editor Sophie! • Endurance explained- to compete is to WIN! • An eventful life - from Pony Club to the Olympics! • Phar Lap. The legend of Big Red. • A Horse called Fabish and his amazing escape from the Black Saturday bush fires. 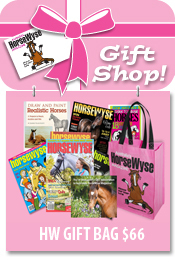 • Funstuff Activities and bonus SUPERSIZED horse poster inside! 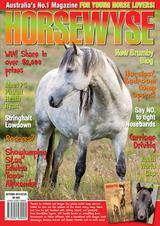 • NEW HorseWyse Hot Shot comp!